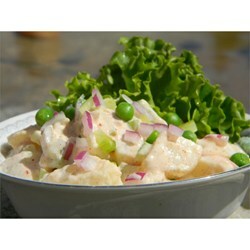 This potato salad could be served at any luncheon or picnic. Preparation time is 10 minutes. This recipe is from The WEBB Cooks, articles and recipes by Robyn Webb, courtesy of the American Diabetes Association.